There is a lot of stress and tension involved in the operation of your garage door system. As a result, the different mechanical parts go through a lot of wear and tear, which ends up causing a break down. Now, there are a lot of different malfunctions that can manifest due to this issue, but with proper maintenance, you'll be able to avoid the majority of them. These components make opening and closing the door very easy. They support and counterbalance the weight of the panels, and make sure that they stay balanced. However, over time the springs can start loosening and will wear out, at which point they'll need to be replaced before they break. Our technicians can lubricate them and adjust their tension periodically, which will significantly delay that inevitable ending, and thus increase the longevity of these crucial components. 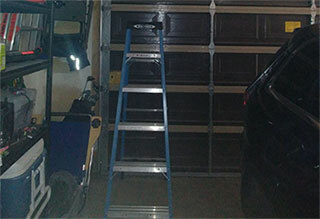 The garage door opener is a wonderful device that can make your life incredibly convenient. In order to be able to use it safely, the photo eye sensors that this device uses to detect obstacles must be fully functional. Our team will check their alignment and reposition them as necessary. If we find that their lenses are damaged or that they aren't working properly, we'll replace them with new units. There are a lot of moving metal parts that help your door open and close smoothly. These components need to be lubricated in order to keep working silently and to reduce the friction-based wear and tear they suffer. We'll lubricate the rollers, the hinges and the torsion springs, which will make sure the system operates as quietly as possible. In order to contact our team at Garage Door Repair Orange Park, FL and schedule a maintenance appointment, simply call our number and talk to our service desk, or use our online system and book an appointment with a few mouse clicks.